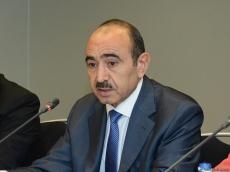 Azerbaijanis, who live abroad, should inform the public of the foreign country they live in about the truth regarding the Armenia-Azerbaijan Nagorno-Karabakh conflict instead of being so zealously engaged in propaganda against Azerbaijan and its people, Azerbaijani President’s Assistant for Public and Political Affairs Ali Hasanov said in a Facebook post May 10. "Some of our compatriots, who live abroad, have become a tool in the hands of anti-Azerbaijani circles," he said. He stressed that on May 9, the US Helsinki Commission, characterized by its “special interest” in Azerbaijan, held regular hearings regarding the election and fundamental freedoms in the country. “The Commission chairman, who must demonstrate equal attitude to all countries, peoples and confessions, repeatedly expressed his special love for Armenia and the Armenian people,” Hasanov said. “One of our “compatriots”, who created an information resource outside Azerbaijan at the expense of foreign grants and donations, and published a few years ago an article on the importance of recognizing the so-called Armenian genocide on the website owned by this resource, again brought to the agenda the issue of sanctions, criticized the activities of Azerbaijan in the lobbying sphere and once again urged the US and the EU to exert serious pressure on Azerbaijan,” Hasanov said. It is strange that somebody who is distinguished by vulgar behavior and insulting rhetoric was invited to the event, he noted. "Not understanding what he says, this person accuses the Western countries of maintaining normal relations with the Azerbaijani authorities, considers it almost a tragedy when the leaders of the EU, leading European countries and the US send congratulatory letters to President Ilham Aliyev following the presidential election," Hasanov added.